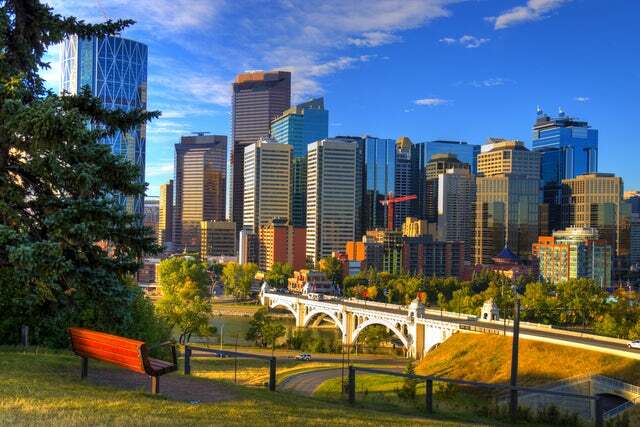 Calgary is a city in the Canadian Province of Alberta, about 80 kilometers (50 miles) east of Canadian Rockies. It is located in an area characterized with North American prairies and it borders the Bow River. With a population of 1.2 million people, it is the fifth largest municipality in Canada. Below are some additional facts about the city that a traveller will find relevant. 1. Due to its vast grassland, the city is still referred to as Cow Town. It still gives you the images of Wild West. 2. The Calgary Stampede, held every year for 10 days, is the largest outdoor event in the world. It features First Nations Exhibits, world’s largest rodeo, concerts, stage shows, a midway, chuck wagon racing, agricultural competitions and a parade. The event attracts over 1 million attendees. 3. The average age in Calgary is 35.7 years. Like in all youthful cities, you can expect a lot of partying, sports, romance and a sizzling entertainment scene. 4. The city is as diverse as any city can get. A whopping 120 languages are spoken in the city. 5. Calgary is the cleanest city in the world...Cow Town or not, it seems that the cowboys cleanup real well after all, huh? 6. You have a great cause that you want to have volunteers work on? Well, Calgary has more volunteers per capita than any other city in the world. 7. Naheed Nenshi, a Muslim and 39 years old, was the first Muslim to become a mayor in Canada, garnering 28,000 votes more than his closest competitor. 8. Calgary receives an average of 2600 hours of sun per year. This makes it the sunniest city in Canada. If you do not like the cold, perhaps you need to shift countries/cities and live in Calgary. Besides, 26% of the population in Calgary is not born Canadian...you will be in good company. 9. Calgary has an altitude of 3,800 feet. This is well above the average among the Canadian cities. This means that the city is neither too hot nor too cold. Calgary is among the top 5 most livable cities on earth. It has the highest GDP per Capita in Canada and is ranked among the top cities in quality of life. For this reason alone, you should be planning your next holiday destination to be Calgary. Make sure your holiday coincides with Calgary Stampede.